Mobile Fluid Power: Do Your Employees Need a Certification? NTT Inc. - Mobile Fluid Power: Do Your Employees Need a Certification? It builds on the knowledge on a topic. In order to get the relevant certification, an individual has to set aside adequate time for study. This ensures that they are well versed with the topics and can be able to analyze and resolve complex tasks when met with a challenge due to the raised conceptual understanding of the field. Since most certification processes require individuals to take part in a continuous education system, it is a sure way to keep the employees interested in the industry for they always want to gain more knowledge and improve in their current fields. Certification training entails taking a hands-on approach to the learning experience. This means that the individuals are able to conduct experiments and get to try a new form of technology in a carefree learning environment without the worry of causing damage in the production process and potentially harming others. A proper certification training will have all the questions answered about the importance of certain product features that seem unneeded in an industry. This will ensure that all the equipment are put to good use in order to achieve a higher level of production. It boosts the confidence that clients have in your business. Ensuring that all of your employees have all the necessary certification proves that you hold your industry to a high professional standard. Your customers feel like they are in safe hands as they can rely on your industry for the production of quality and safe products. It boosts the productivity of your industry. Employees with professional certification are more productive as they are more prepared to handle complex situations and come up with innovative ways to deal with the situations. Since they have been trained on new technologies, they can be able to make the whole production process go faster while increasing efficiency in order to increase the overall production output. It boosts employee morale. After getting the certification, the employee is assured of an elevated status in the workplace that improves their attitude making them motivated to work harder. Anyone involved selecting and applying hose and tube assemblies. The program entails learning how to conduct preventative maintenance techniques, component assembly, field and shop repairs and fluid filtration. The course is relevant for anyone involved in assembly, maintenance, servicing, fabrication, and testing of industrial hydraulic equipment. The course aims to give a stronger understanding of technical skills necessary for fluid power, motion control, load and motion analysis and system design. 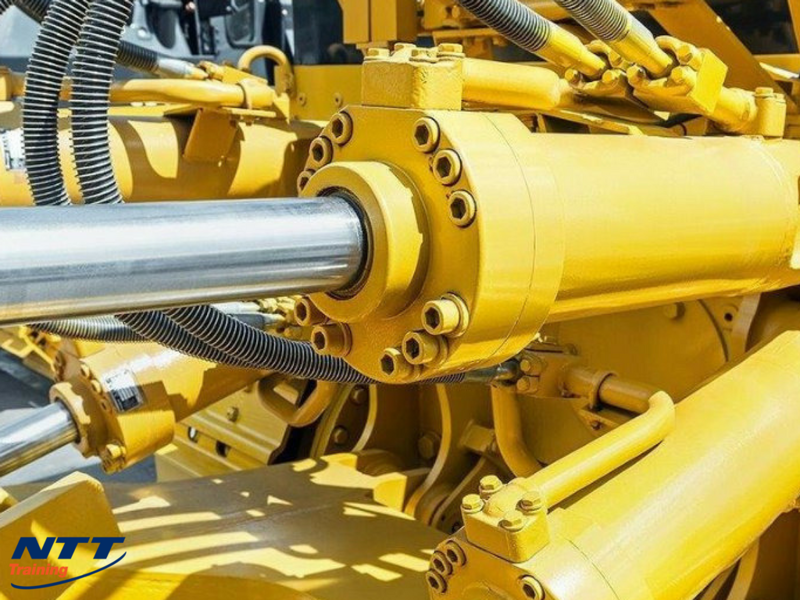 The course is relevant for anyone involved in the design of hydraulic systems that go in line with fluid power essential practices, and those involved in the selection of hydraulic components for mobile and industrial operating machinery. Hydraulic system installation and commissioning supervisors. Technicians operating on hydraulic systems. Mechanics working on hydraulic systems. Anyone involved in the servicing, maintenance, fabrication and testing of industrial hydraulic equipment. Mechanics requires to read hydraulic symbols, use hand tools and understand electrical symbols. Anyone involved in the testing, fabrication, servicing, assembly, and maintenance of industrial hydraulic equipment. It is important to obtain your certification from an accredited institution that offers market tailored programs. Are you interested in having your employees obtain this kind of certifications? Get in touch with NTT Training Inc. and register for a Mechanical Fluid Power Seminar today!